It’s that time again where the entire world is fading to darkness to raise awareness of global warming. 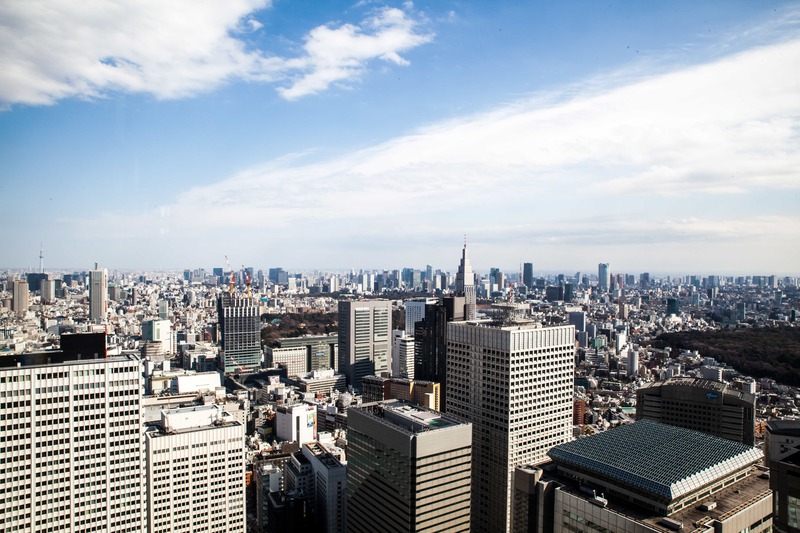 Earth Hour 2019 is happening this weekend, and if you’re looking at moving into a sustainable lifestyle, there are a couple of festivals and events where you can learn more about eco-friendly practices and shop ethical brands. Other than that, we found a #veryrelatable exhibition about what it’s like to experience burnout and a Flat Iron-inspired steakhouse pop-up. Becoming a conscious citizen doesn’t happen overnight, but you have to start from somewhere! 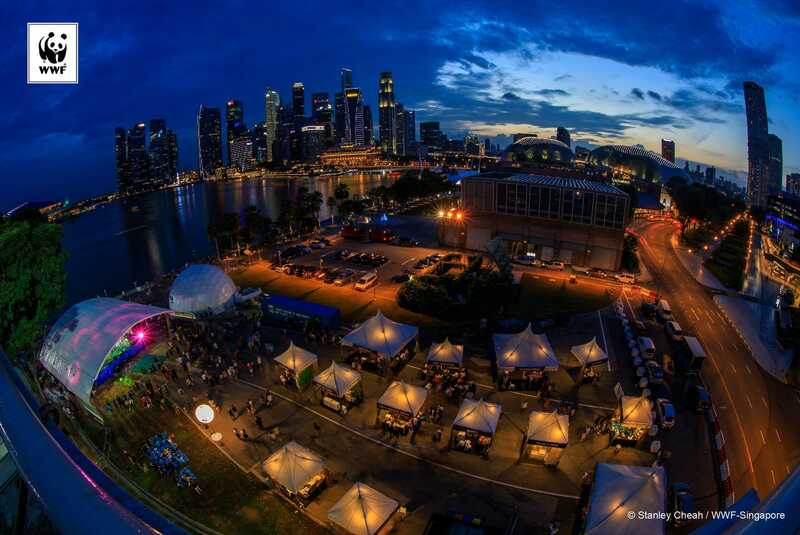 The world’s environmentally conscious festival is back, and other than the Lights Out hour, the World Wildlife Fund in Singapore is hosting a festival from 29 to 31 March at the Marina Bay Sands Event Plaza to promote sustainable living. Join up-cycling workshops, meditation sessions, and talks on how to convert and tackle food waste, or shop sustainable brands who make an effort to reduce their carbon and environmental impact. Sezairi, Preetipls, Subshaman, Subsonic Eye and more artists will entertain you over on the Earth Hour stage, and it’s all healthy food and yummy bites over at the Food For Nature section, where you can try the latest plant-based Impossible BSK Burger from Bread Street Kitchen. Don’t forget to join the rest of the world in turning off all your lights and electricity from 8.30-9.30pm on 30 March. You can still get involved as they are still looking for videographers to capture the moment the city powers down. 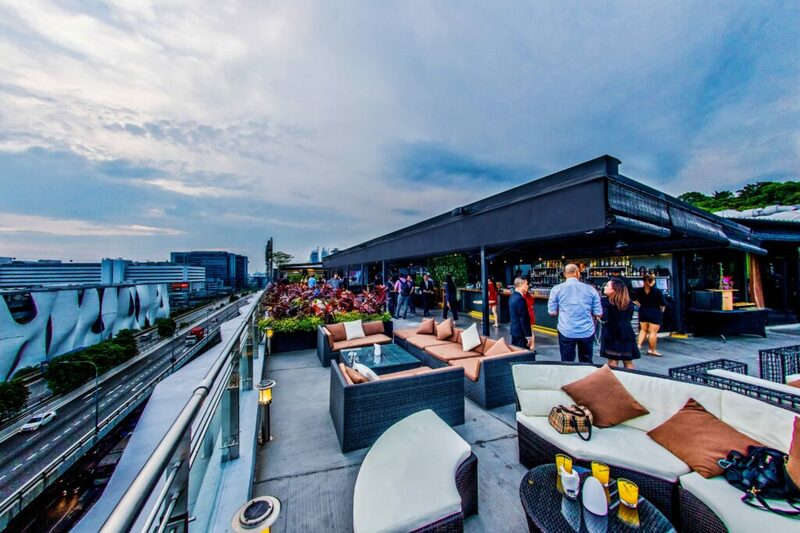 Propeller Bar is kicking off their newest Wanderlust party series with a Japanese-themed party because it’s Sakura season. Japanese spirits are a plenty, with premium sake, Roku Gins, Highballs and Kirin Beers to go round as the bar transforms into a Japanese festival. The highlight is three hours of free-flow Meiji Shines, a sake-based cocktail inspired by the Meiji Shrine in Tokyo. A sake sommelier will also be conducting a sake masterclass on 30 March, 6pm to help you better appreciate the spirit. Beats from DJ Stephen Day will be entertaining you as you make your way through the live Sashimi and Sushi station, the Wagyu Beef live carving station and other Japanese delicacies. Next up in the Wanderlust Party series: Scotland! 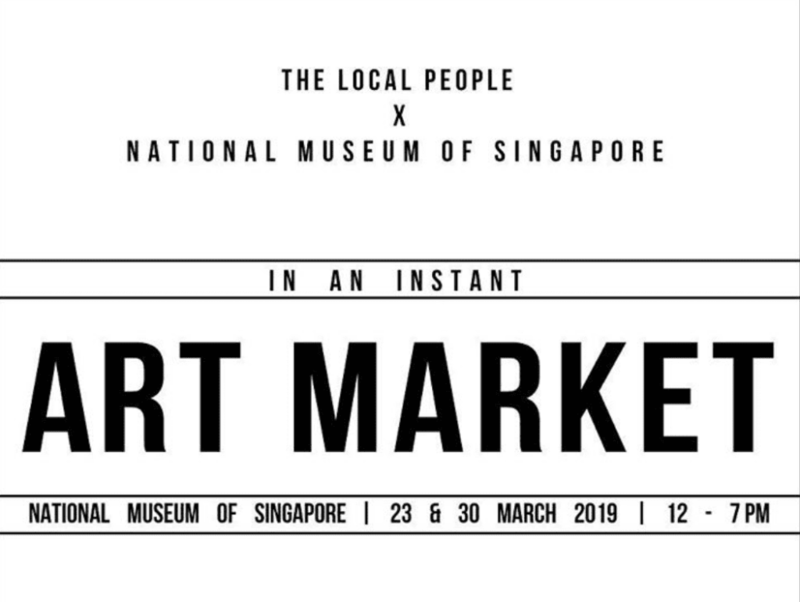 Take a step back into the heyday of the Polaroid with the latest exhibition at National Museum Of Singapore and a flash flea market. Fill your shopping bags with local trinkets like customizable jewelry from HandyDandy, illustrations from Laugh and Belly, paper cutting cards from Sylph and more! With a lighter wallet, stop by the In an Instant: Polaroid at the Intersection of Art and Technology exhibition, where entry is free for the duration of the art market. 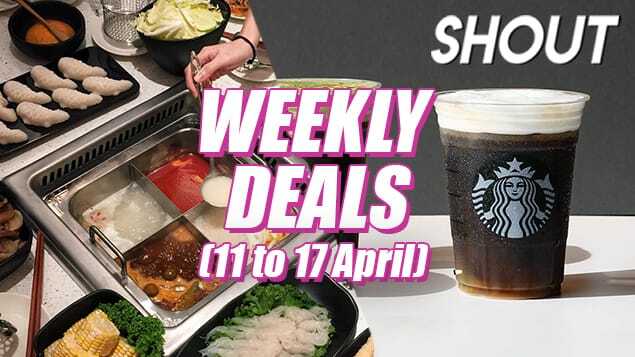 Inspired by his time at English steakhouse Flat Iron, Sheen started his own pop-up steakhouse here in Singapore so that everyone can enjoy good steak at a good price. A 200g fillet of steak only costs $21 at Feather Blade, and is slathered in butter and cooked sous vide before being seared for that smoky, charred flavor. 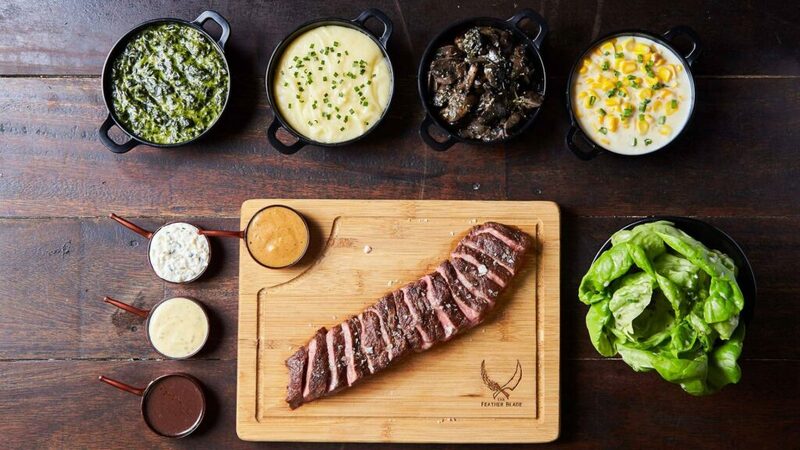 The menu only has one main – steak, but there are four different sides and a wider selection of beers, spirits and wines to choose from to go with your meat. The Feather Blade will be setting up shop at Zui Hong Lou temporarily, with plans for a more permanent location in the future. What do you do when a meme or words aren’t enough to express your feelings over text? Send a gif! 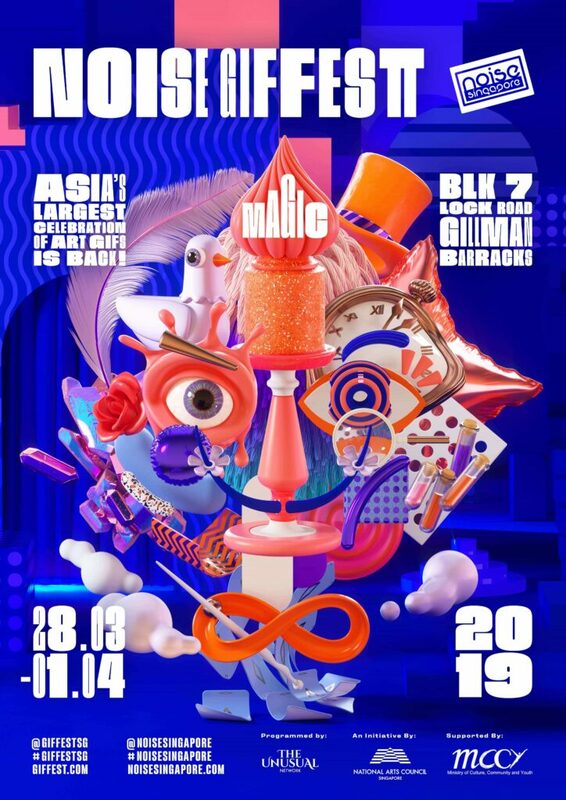 The GIF Festival brings you into the trippy world of gifs through interactive artworks in this free-entry exhibition of over 100 gifs at Gillman Barracks. Aspiring gif creators and graphic designers can interact with each other and at artist talks to improve their craft. Everyone’s a creator here! Feeling a little burnt out? This exhibition is for you. 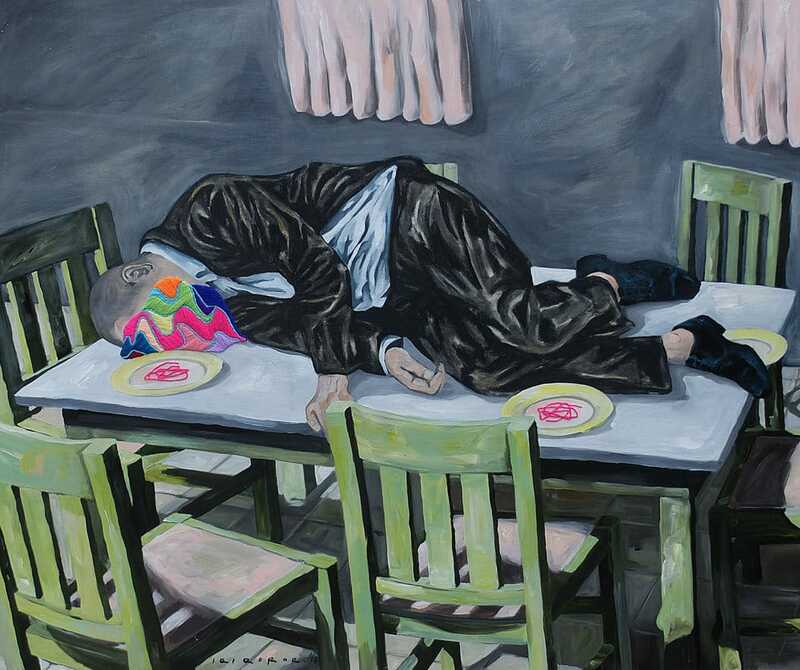 Located conveniently right smack in the middle of the town near Downtown MRT, Hatch Art Project latest exhibition is moody paintings from Iqi Qoror that is part of his series aptly titled ‘I Would Prefer Not To Do Anything’. Qoror’s melancholic and surrealist paintings capture what it means to constantly be in a state of burnout in an overwhelming society where you’re pressured to constantly project positivity. If you’re struggling to get inspired at work, stop by to look at some art and be reassured that you’re not the only one feeling this way. 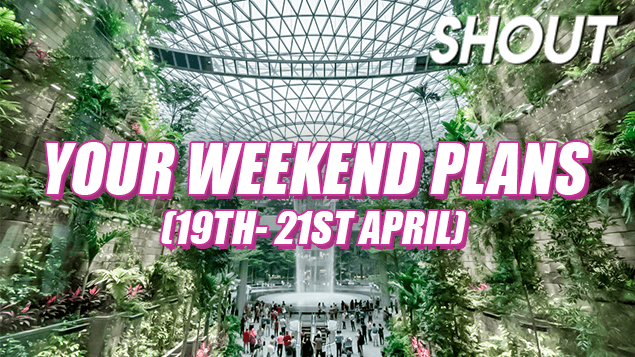 Celebrate sakura season the Singapore way at Gardens By The Bay because flights to Japan are too expensive. The annual Sakura Matsuri is now happening over at the Flower Dome, with gorgeous bloom displays in the cooling Flower Dome and Torii gates covered in a canopy of pink and white cherry blossoms. 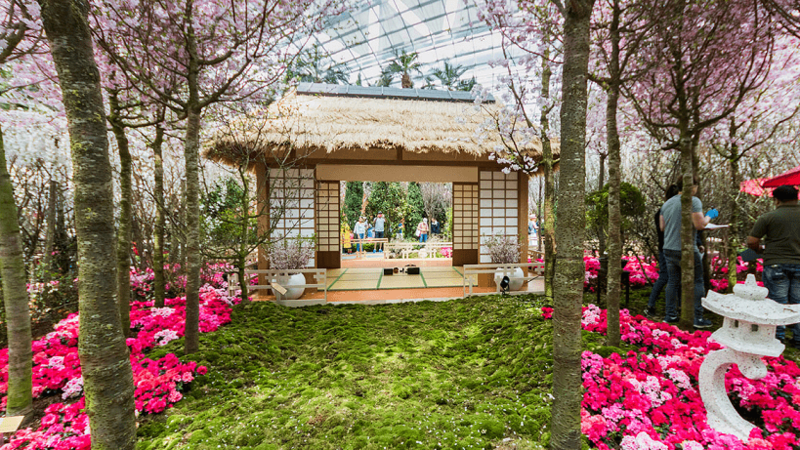 Over 20 varieties of cherry blossoms will be on display until 31 March. 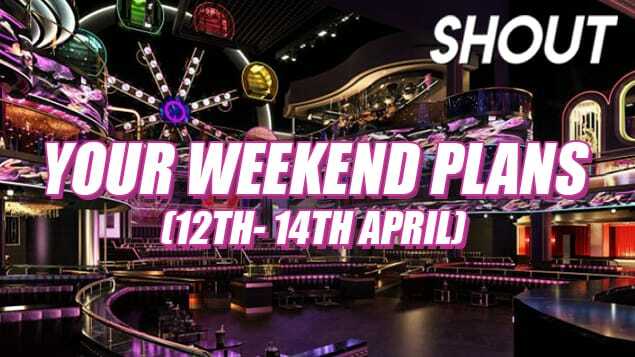 On the last weekend of March (this weekend! ), the Anime Garden will bring your favorite characters on screen to life with performances, anime screenings, anisong artists and celebrity cosplayers. 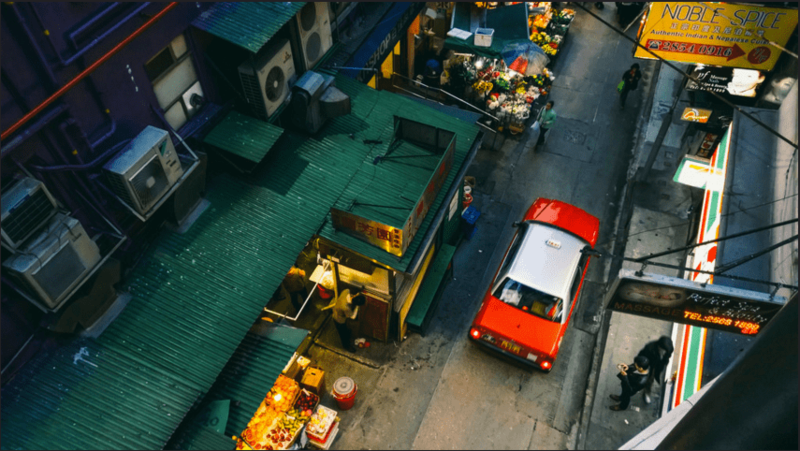 Matsuri games, a food bazaar hawking Japanese treats and a whole schedule of Japanese cultural performances will make you feel like you’re in one of those spring festivals. Fly high with your favourite Barbies! 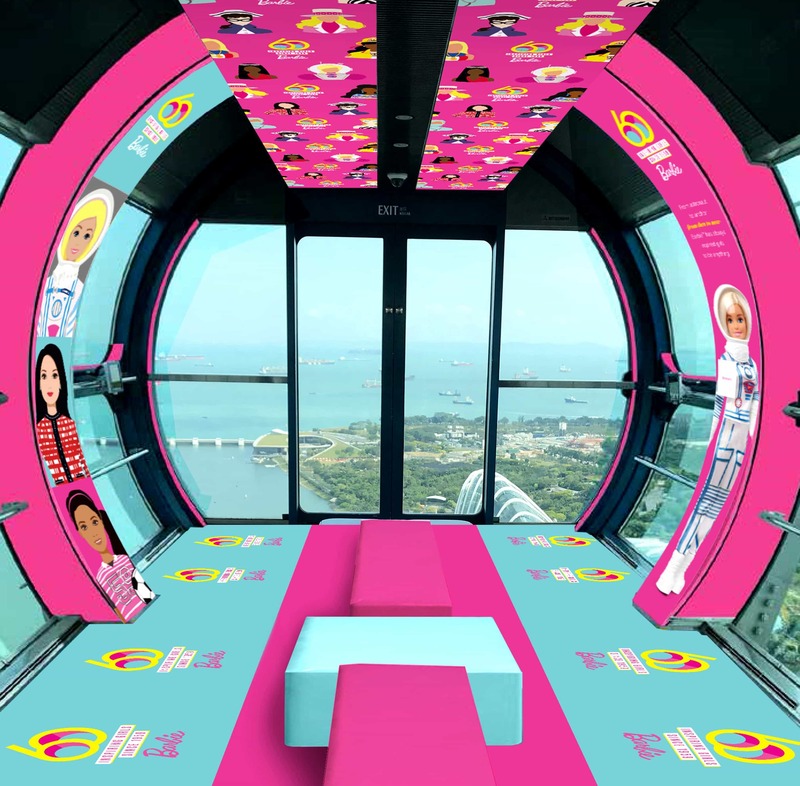 The doll has been inspiring girls for over 60 years with over 200 careers (and counting), and now you’re invited to take flight with Barbie herself on a themed capsule on the Singapore Flyer. Each flight in the Barbie-themed capsule also comes with priority boarding, a mocktail, macarons and a free souvenir if you’re bringing along a child. 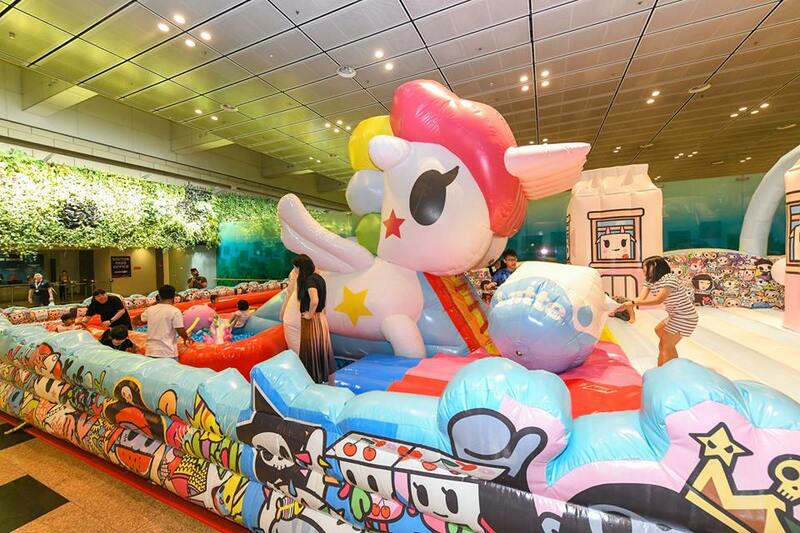 A colorful inflatable unicorn playground in Changi Airport Terminal 3 is every tokidoki fan’s dream. 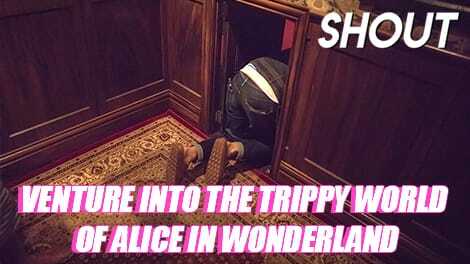 Go down the 5m tall Unicorn slide into a giant ball pit with huge tokidoki characters and bouncy donuts. On 23 and 24 March, Donutella and Sandy will be hosting meet-and greet sessions for photo ops. While entry to the inflatable playground and meet-and-greet is free, you need to redeem a pass which requires a minimum spend. Bring your love for tokidoki as you jet all over the world with the limited edition tokidoki x Changi Airport traveling accessories. 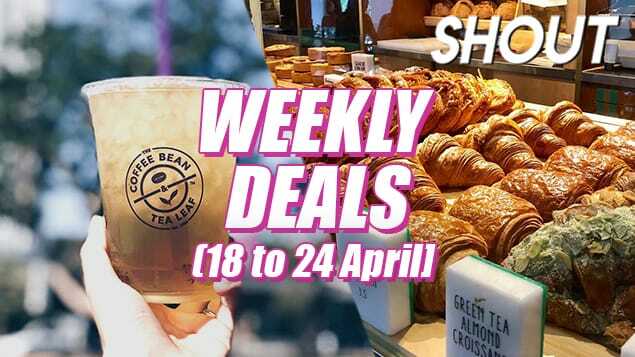 Choose from a passport cover, travel packing cubes and matching mother and daughter totes when you spend a minimum of $60 in the public areas of Changi Airport. You can even get your hands on a tokidoki cabin luggage, but you’ll have to spend at least $688. 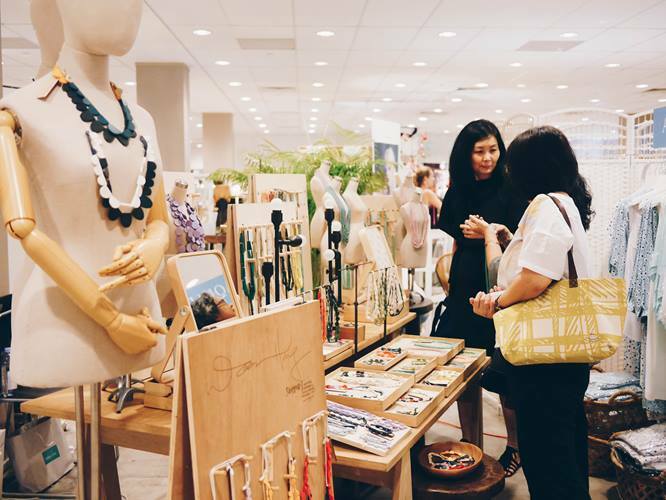 The seasonal Boutique Fairs is back for Spring and Summer with 300 over local and regional brands exhibiting their upcoming collections. Find both men’s and women’s clothes, lifestyle knick-knacks, home decor, and toys in this fashion extravanganza where chic and independent designers take the spotlight. Score gems like ethical snakeskin handbags, rugs stitched in Syria by refugees, and gemstones from Ethiopia. Most of the labels are also eco-friendly and environmentally conscious, so you don’t have to feel bad about harming the planet due to the fast fashion lifestyle.